Players are plagued with long queue times. Thousands of players are clogging up Overwatch’s server queues, creating long lines to get into the new seasonal event. It’s not something necessarily new for Blizzard and its Overwatch events, but fans are upset. Players are reporting queues up to 10,000 players long, alongside disconnections from the game. Some players said they were dropped from competitive Overwatch games, thereby losing season rank points and receiving small suspensions. Blizzard has not laid out a timeline for the fix—it might take a while given the hype for the Summer Games event. Blizzard customer service will notify fans through its Twitter account when the Overwatch log-in and disconnect issues are fixed. 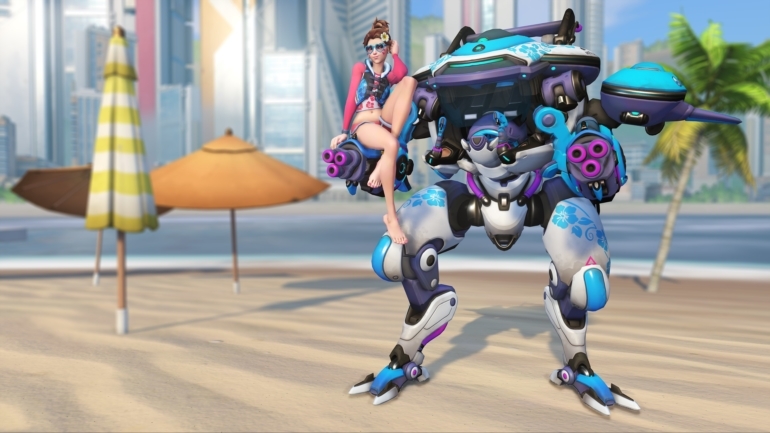 For Summer Games 2018, Blizzard added nine new skins, two highlight intros, one emote, and a whole bunch of new player icons and sprays. A new Lúcioball map set in Busan, South Korea was also added for the kick-off of new Copa Lúcioball and Lúcioball seasons.